You see, whenever you feel threatened, your body goes into a “fight or flight” response. Back in the days of our ancient ancestors, this response kicked in only when faced with a dire threat…say being chased by a 600 pound saber toothed tiger. It wasn’t something that happened every day – or even every other day. These days we aren’t outrunning tigers. Yet we’re constantly under stress. We get stuck in traffic jams, struggle with unfriendly co-workers, juggle finances and take care of ailing kids, parents and spouses. It’s a steady stream of never-ending tension. This means your body is trying to pump out stress hormones – hormones your ancestors only needed every once in a while – on a full-time basis. At some point, your adrenal glands struggle to keep up with the stress. Your body’s demands for stress hormones will be more than they can functionally deliver. This can easily lead to adrenal weakness or fatigue. Adrenal fatigue comes in two parts. When you’re constantly under stress your adrenal glands work overtime to produce plenty of cortisol. And that’s a big problem. Continual generation of excess cortisol can affect your brain function, sleep, immune function, blood pressure and the accumulation of abdominal fat. When your adrenal glands can’t keep up with demand, they become fatigued and cortisol production diminishes. This can cause many different physical and mental problems to unfold, including muddied thinking, brain fog, depression, low thyroid function and inflammation. To make matters even worse, cortisol has a synergistic relationship with your thyroid. If you’re over-producing cortisol, it can lead to thyroid resistance. But if you’re not producing enough of it, you won’t have enough cortisol for your thyroid to work properly. So adrenal fatigue and thyroid problems often go hand-in-hand. This is a double-whammy when it comes to your health. Energy flies out the window. There’s no need to try to concentrate, because you can’t. Weight gain sets in and hair loss speeds up. Not to mention trouble sleeping, moodiness and depression… low libido, muscle pain and generalized weakness. In men, it can even affect your testosterone levels. Thankfully, I’ve got a dynamic duo that can help slash your stress levels, reduce cortisol and support your thyroid for renewed energy, focus and vitality. If you want to stay relaxed, energized and focused all day long, a combination of two herbal extracts may be exactly what you need. The first is rhodiola rosa, an adaptogenic herb that helps your body naturally adapt to stress. This herb was used for centuries by the Vikings. They relied on it to increase their legendary endurance, physical strength, and stamina. It helped them survive long voyages across the North Sea in open boats in sub-freezing weather. In patients with fatigue syndrome, taking 185mg of rhodiola daily reduces fatigue, increases mental performance, improves ability to concentrate and decreases cortisol levels. The other is called ashwagandha. 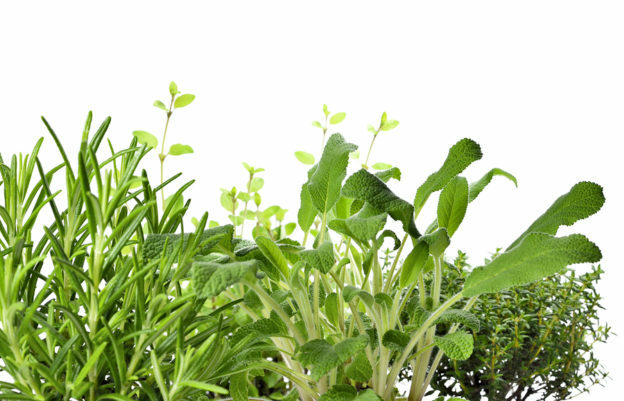 This herb can naturally keep energized throughout the day while helping you sleep better at night. Better yet, it can help balance thyroid and adrenal issues by boosting energy in the areas of your body that are weak, and reducing energy in those that are stressed. Slash stress levels as much as 44%. Additionally, people with chronic stress who take ashwagandha experience better cognitive skills, improved weight management and report feeling happier. Ishaque S, et al. Rhodiola rosea for physical and mental fatigue: a systematic review. BMC Complement Altern Med. 2012; 12: 70. Pratte MA, et al. An alternative treatment for anxiety: a systematic review of human trial results reported for the Ayurvedic herb ashwagandha (Withania somnifera). J Altern Complement Med. 2014 Dec;20(12):901-8. Choudhary D, et al. 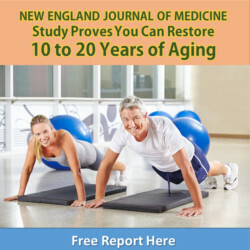 Body Weight Management in Adults Under Chronic Stress Through Treatment With Ashwagandha Root Extract: A Double-Blind, Randomized, Placebo-Controlled Trial. J Evid Based Complementary Altern Med. 2017 Jan;22(1):96-106. Pingali U, et al. Effect of standardized aqueous extract of Withania somnifera on tests of cognitive and psychomotor performance in healthy human participants. Pharmacognosy Res. 2014 Jan-Mar; 6(1): 12–18. Can Gut Bacteria End Your Depression?